Over the past decade, country-music fans have experienced the frantic energy of Garth Brooks, the videogenic va-va-voom of Shania Twain, and the down-home girl power of the Dixie Chicks. But right now, kicked back in an office just off Nashville's famed Music Row, George Strait is doing something that's considered just as riveting within true-blue country circles: He's talking. ENTERTAINMENT WEEKLY: You haven't granted an interview of any duration in six years. Were you always so dead set against talking to reporters, making TV appearances, filming videos, being photographed? STRAIT: In the beginning, I wanted to be successful. I wanted to make and have hit records. And I wanted everything that went along with it....[So] I did all that stuff earlier in my career. I did tons of interviews, and I went on The Tonight Show....[But] I have other things that I enjoy. Country music is important to me, and I love it, but it's not my whole life....I like to be outdoors, I like to hunt, I like to fish, I like to play golf. I guess that through trial and error I found some [media-associated] things that I didn't really like a lot. EW: Like doing interviews and making videos? STRAIT: I'm not big on doing interviews. And yeah, videos -- well, I've never cut one that I really liked. But I've probably never gone and, you know, started [making] a video and been fully committed to it. I've probably always done them a little halfheartedly. [Laughs] That's probably why they came off [unspectacularly]. You know, you get pretty much what you put into it. EW: By that reasoning, it sounds as though you put a lot of time into The Road Less Traveled. It's a great George Strait album. STRAIT: I just think it's one of my better efforts in quite a while. It's like 10 strong moments. There's not one song in there I could toss out. It's something that, probably, every artist tries to do on every album, 'cause you're always striving to make the best thing that you've ever done. But it just doesn't always work out that way, for whatever reason. [Laughs] And you don't ever know that until you get it done and finished, and you sit down and listen to it. At least I don't. EW: It's been 20 years or so since you signed with MCA Records Nashville. Did you think of The Road Less Traveled as your anniversary recording? STRAIT: Oh, that's right: You know, I didn't give that a lot of thought but [laughs] maybe I should have. It's funny, because this album came together like Pure Country did--we were under the gun trying to cut that, to get it finished, because the movie deal came along pretty fast. We were trying to make different songs fit different scenes, and we did that fast. It's not like we did this one any faster than normal, but it kind of came together that way. EW: Is comfort an important thing to you when you're working? STRAIT: Well, it's always the best situation. If you start out trying to achieve a specific thing--like doing stadium shows or going into the studio and doing an album--the end result is what counts. That gives you pretty much a feeling that you have accomplished something that you set out to do. And that gives you a little more confidence. EW: But it seems as though being comfortable in the studio is how you get such cool vocal results. STRAIT: Well [laughs], when I'm doing my vocals I'm pretty tight. I want them to be exactly right, you know. Some are tighter than others. That's why my sessions are closed: I don't want a lot of people in there watching. Because you're baring your soul in there [laughs], you're trying to capture something for this specific song that you want, and maybe if you try something that doesn't work [laughs] that would be a little embarrassing. So what comes off sounding real comfortable to you might have been something that was real difficult in the studio to do. STRAIT: I'd say the hardest song to sing on the new album was the ballad....A song like "Don't Tell Me You're Not in Love," that's not easy for me to sing. It may come off sounding that way on the record. But it's not. EW: Your vocals, even when you get a little fancy, do sound relatively effortless. STRAIT: You know, it's not an intentional thing on my part--I guess it's just the way my vocals come off. EW: Sinatra was like that. STRAIT: Ah man, Sinatra, in my opinion, is possibly the greatest male singer of all time. EW: Everyone always talks about country music in terms of the traditional and the contemporary. Does that discussion mean anything to you? STRAIT: Well, here we go talking about it again. [Laughs] Twenty years ago, when I signed with my record company, people were talking about the same thing--it's never ending. Back then, the thing was to have a crossover record and sell more albums. And then I started--but I wasn't the only one. There was a group of guys, and girls, who came along and started singing more traditional-sounding stuff. And then it just swung back the other way. Well, it's always going to do that. The lines may get a little fuzzy, but to me country music is an art form. We're not going to lose it....I feel like my strong suit is singing traditional country music. But at the same time, I think I've got some great [country-pop songs] that are so far away from that, like "Marina Del Rey" or "The Chair." And there's a lot more--"Run," on this new album. You know, traditional country music is something that's going to be around forever....I'm not worried about it. EW: When you recorded "Murder on Music Row," your duet with Alan Jackson, in 2000, you unnerved radio programmers with lines like "Someone killed country music/Cut out its heart and soul." Were you more worried about the survival of "real country" when you recorded it, when you first heard the song? STRAIT: No, I just died laughing when I first heard it. I'd just talked to Alan hours before--we'd discussed doing a duet. And then I went over to my manager's office and he played it for me. [Laughs] I thought it was a pretty neat song; I thought that this would be a great duet for me and Alan. So anyway, I asked him if he'd heard it, and he had. I never dreamed [laughs uproariously]that it would be so controversial in the country-music business. It says what it says, but I just thought, Well, it pokes fun at Nashville; it's not an in-your-face slap at the industry. It's just a discussion that I've heard since '81, and that we're still hearing today. EW: You've been clear about wanting to do the music you believe in, but you've also never been shy about wanting to make those styles into hits. STRAIT: You can sing songs to yourself all you want. And probably the shower is where you should do those. EW: Do you still get a kick out of being on stage? 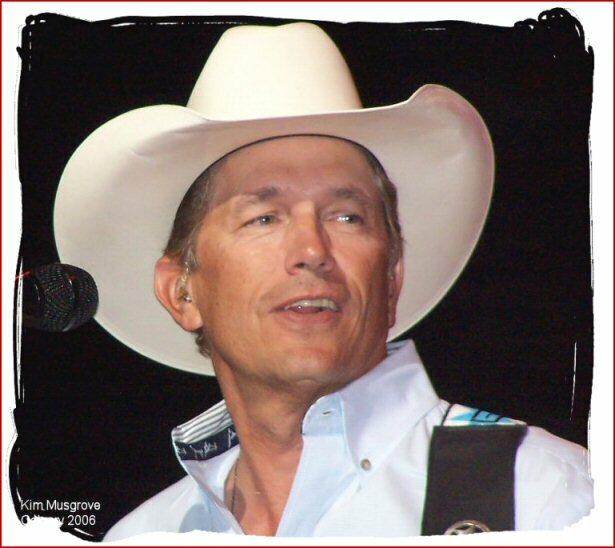 STRAIT: I always enjoy it when I walk on stage. There were some times when I was working so much in the '80s, and I felt really burnt-out. But I'd be up there singing and not be 10,000 million miles away, you know, just opening my mouth and the words coming out. When the audience is really with you, there's nothing better than that. EW: How does it feel to be a legend? 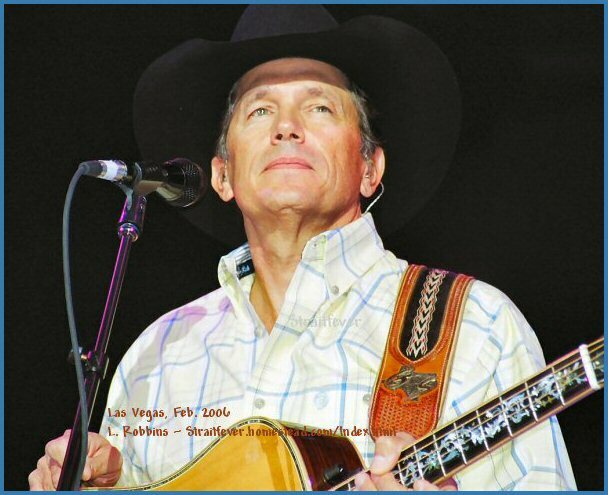 STRAIT: I couldn't answer that, because I don't consider myself a legend at all. You know, legends are people like Haggard and Jones and Wills and Sinatra. Those people are legends. I'm just a young buck out here trying to keep in that same circle with the rest of 'em. "I did all that stuff earlier in my career," says Strait about his reluctance to talk to the press. "I just don't do it a lot....Country music is important to me, and I love it. But it's not my whole life."